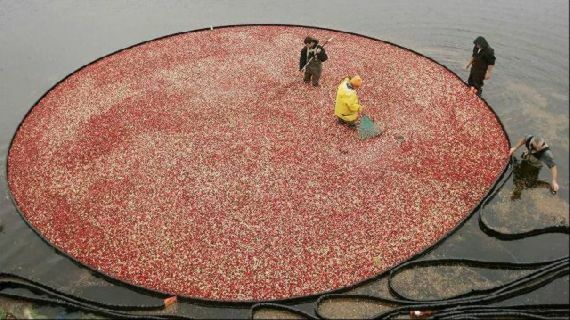 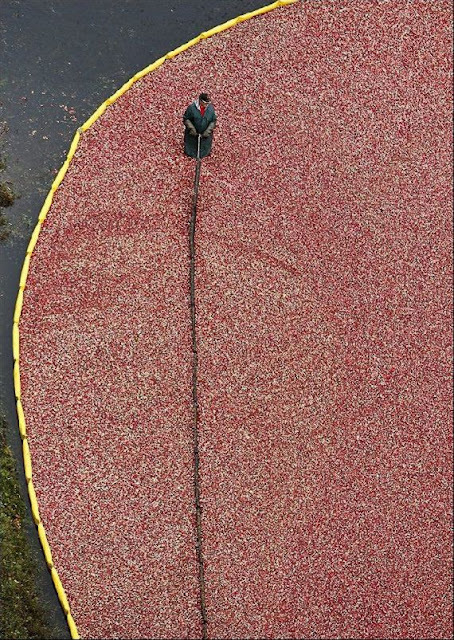 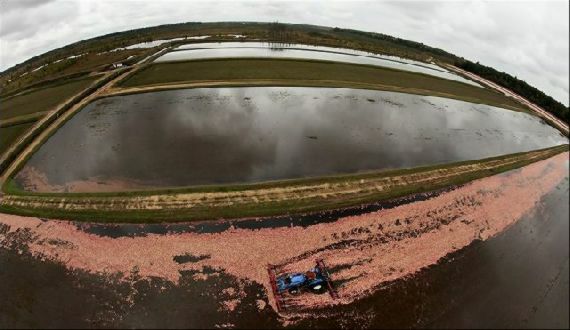 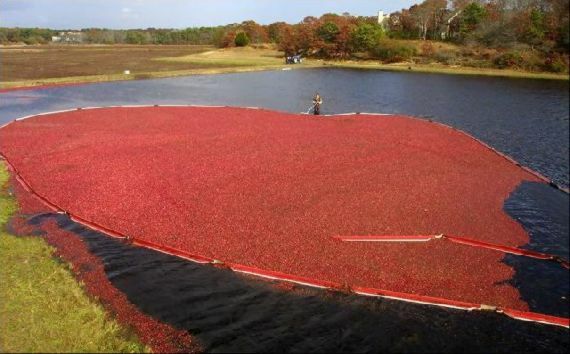 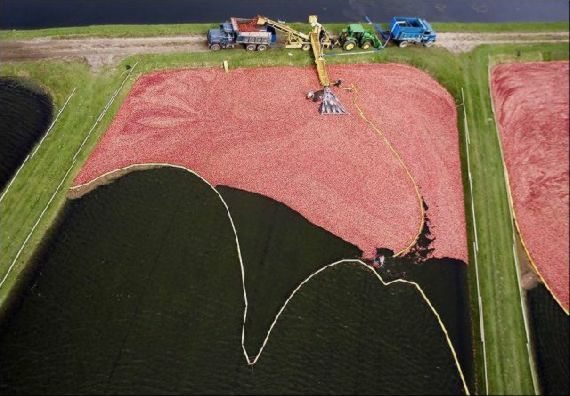 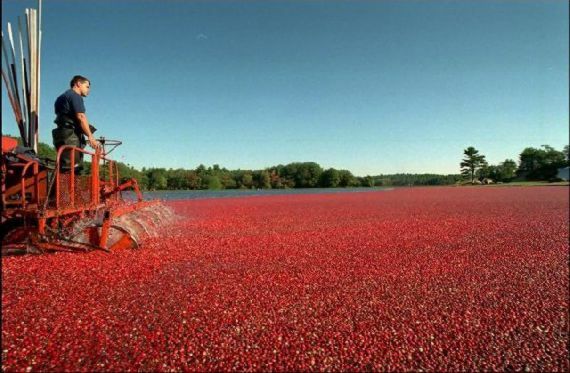 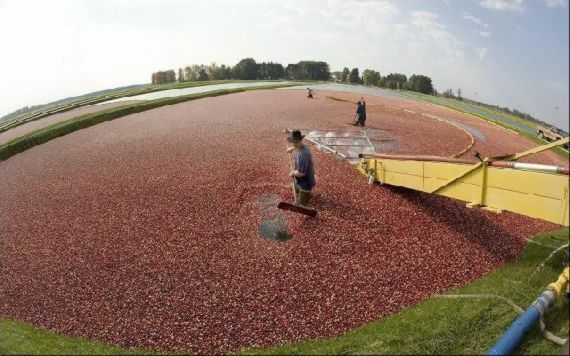 Cranberries harvesting process is very impressive. 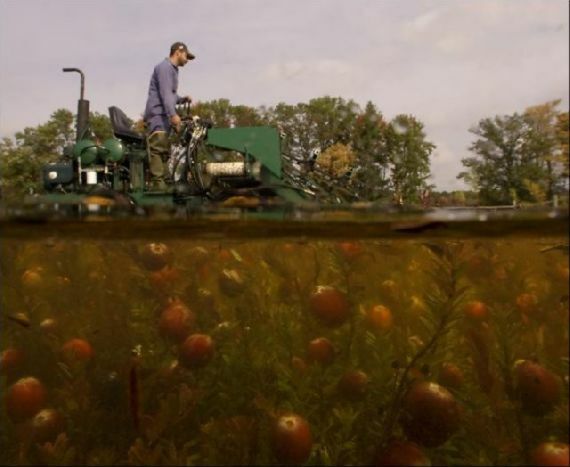 The beds are flooded with water which helps to remove the fruit from the vines and let berries float on the surface. 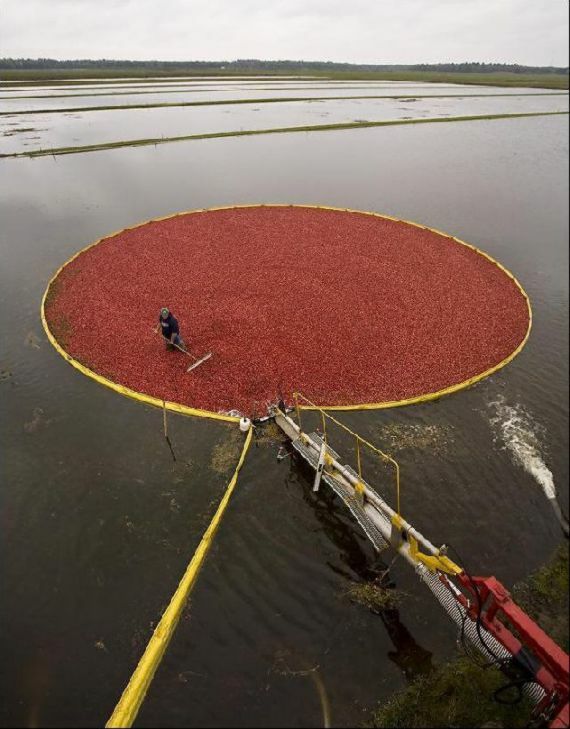 Harvesters can either convey or pump them.